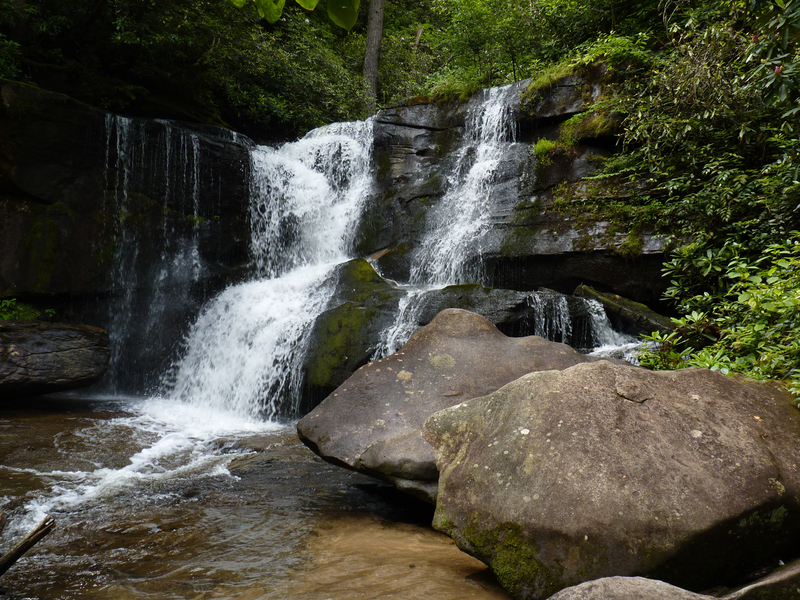 Lower & Upper Cedar Rock Falls lie off the Cat Gap Loop Trail in Pisgah National Forest, near Brevard, NC. 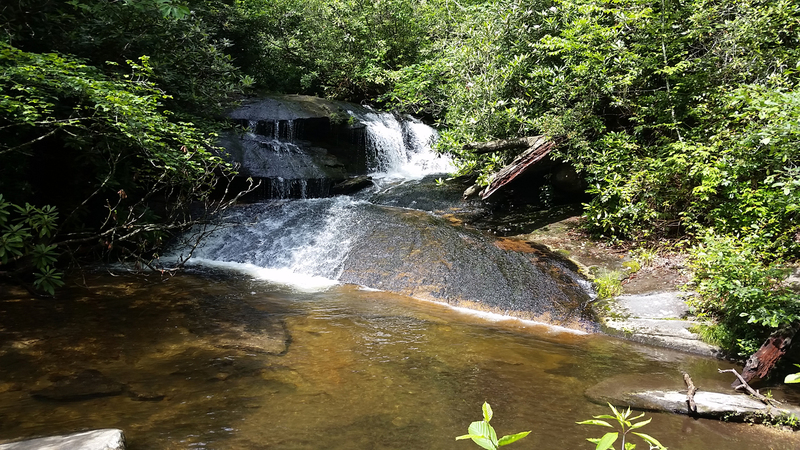 The lower falls is on a side trail on the left of the main trail, about 0.8 mile from the Pisgah Center for Wildlife Education. Although only 20 feet, it is the more picturesque of the two, but be careful – the path becomes very slippery approaching the falls. Returning to the main trail, the upper falls is a short distance further; scramble down into a campsite to view. It is only 10 feet, but worth the visit.